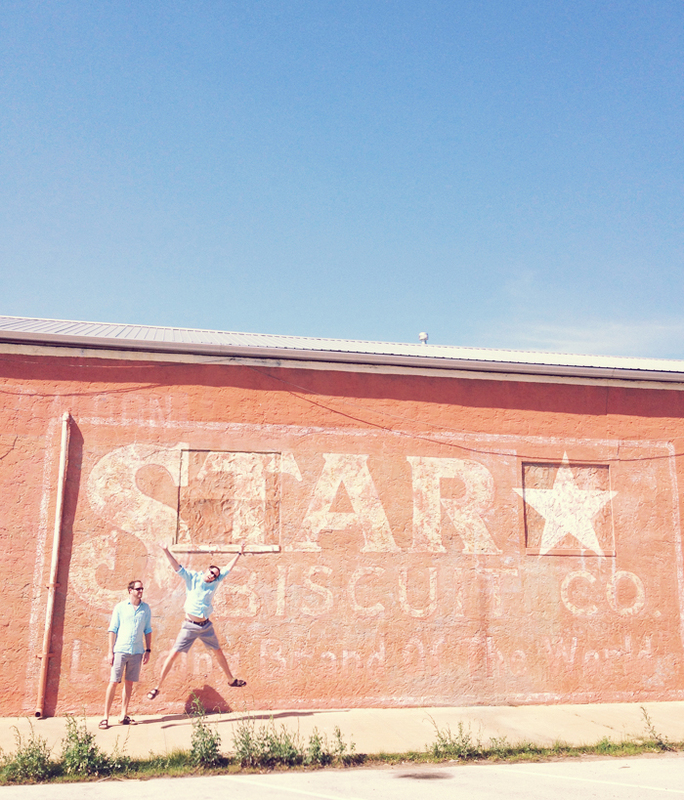 Smithville, Texas. 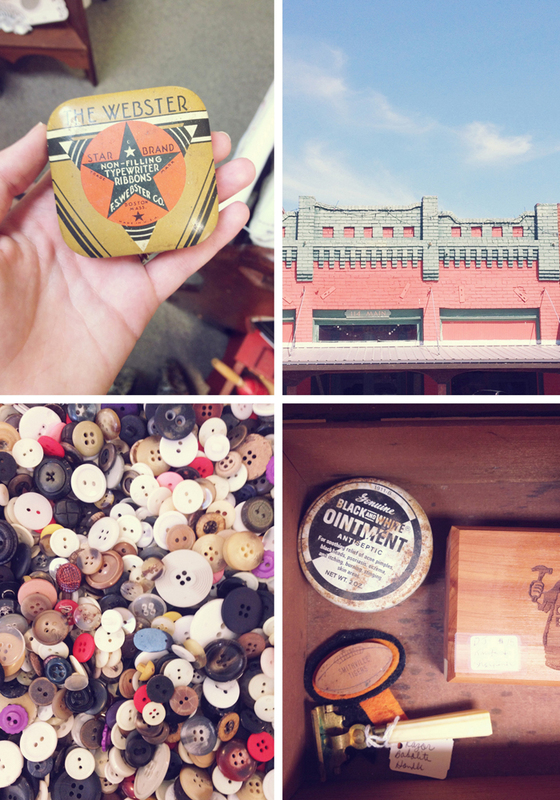 Just an hour drive outside of Austin, but it feels worlds away and of a different era. John and I love finding places like this. A prime spot for weekend antiquing, talking about how vintage graphics really are just that much cooler than their modern day cousins, jumping around empty streets, admiring adorable old cottages with wrap-around porches that beg to be enjoyed with a rocker and glass of ice cold sweet tea, and piningly staring into the windows of an apparently awesome BBQ joint that was c l o s e d when you rolled up with a rumbling belly. Do ittttt, it's so quaint and just a fun town to check out. Aside from having no clue what that movie was before going there, I quickly learned that is where Hope Floats was filmed from the enormous sign driving into town and the shop windows spangled with "AS FEATURED IN HOPE FLOATS"....and the Smithville residents do NOT let anyone forget it. ;) Watched the trailer in the car. Looks like a cute movie! Dang, if only we'd kept on going and going, we'd have gotten to see you!!! This looks like such a fun little mini-getaway! yesss i've been on the hunt for day trips to take from houston, this place looks amazing! Glad to see you guys enjoying Texas in the summer, despite the heat. :) We miss you up North!